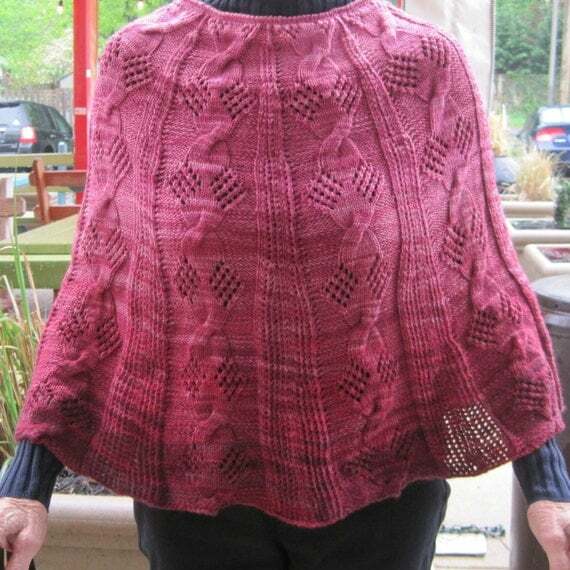 The shawl started out with a dark pink, red. Every time I changed skeins the color was slightly lighter. The result was a fun poncho that will be great for extra warmth that won't fall off your shoulders. If you make this pattern, please send me a photo of the finished item, I would love to see it! This one stayed in the same color family, but what about one that transitions from one color to another? That would be a fun way to have your best color at you face, but still be able to use another color. Pattern is available on Etsy at Linda's Wearable Art Emporium. I hope you didn't miss my last newsletter. Lindsay Lewchuk was kind enough to let me interview her for May's edition. Reading her answers you will see that sometime we all struggle with something, but if you keep working on it great things happen. Sign up to get June's edition in your inbox.